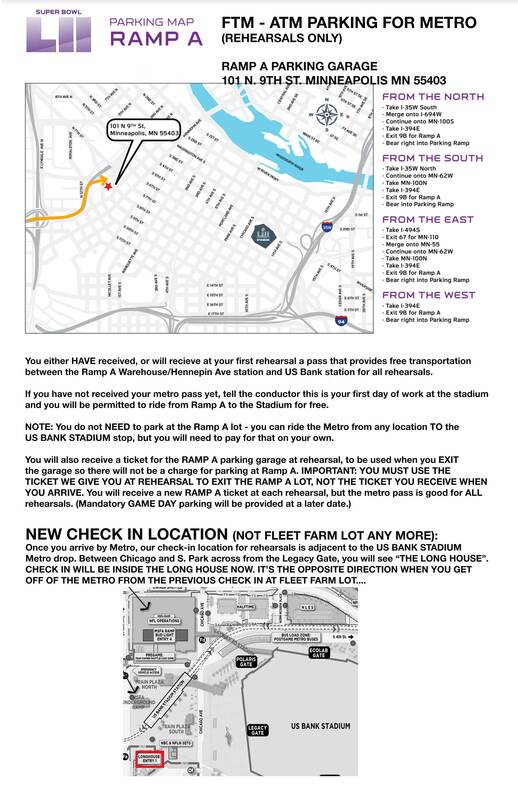 CLICK HERE for parking / METRO instructions, and check-in location at the stadium for rehearsals. 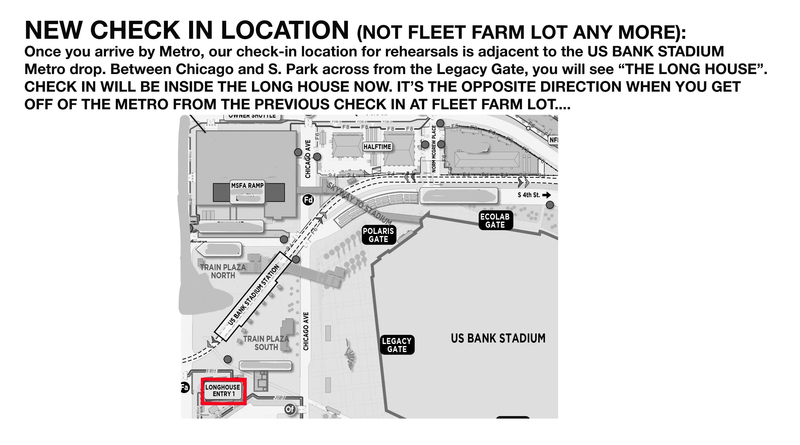 NEW Check In location starting 1/29....No longer the Fleet Farm. Now the Long House. CLICK HERE for a map. 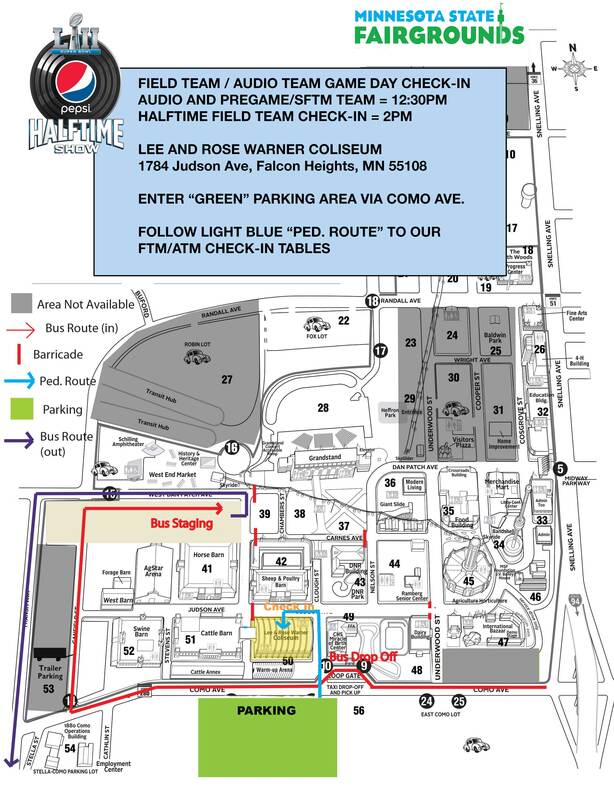 Sunday, Feb. 4, 2018 2:00pm report time at off-site location for FTMs doing Halftime Show only) GAME DAY! SHOWTIME! If you MUST bring a phone in with you, it must stay in your pocket AT ALL TIMES.